Check out the neighborhood spot on San Pablo Avenue. Novel Brewing Company, 6510 San Pablo Ave, Oakland. NovelBrewing.com. 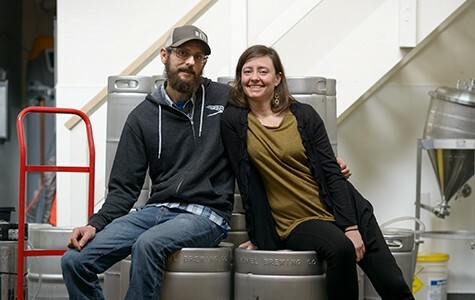 Teresa Tamburello and Brian Koloszyc bought a home brew kit on one of their initial dates. Now, years later the husband and wife own Novel Brewing Company, which serves the neighborhood along San Pablo Avenue near the Oakland-Berkeley border. Koloszyc, who attended the American Brewers Guild program, and later interned at Firestone Walker Brewing Co., is often found behind the bar. Ditto Tamburello. They also live in the neighborhood that their brewery serves — and they pour everything from hoppy brews to kettle sours to some German styles to dessert-inspired beers. 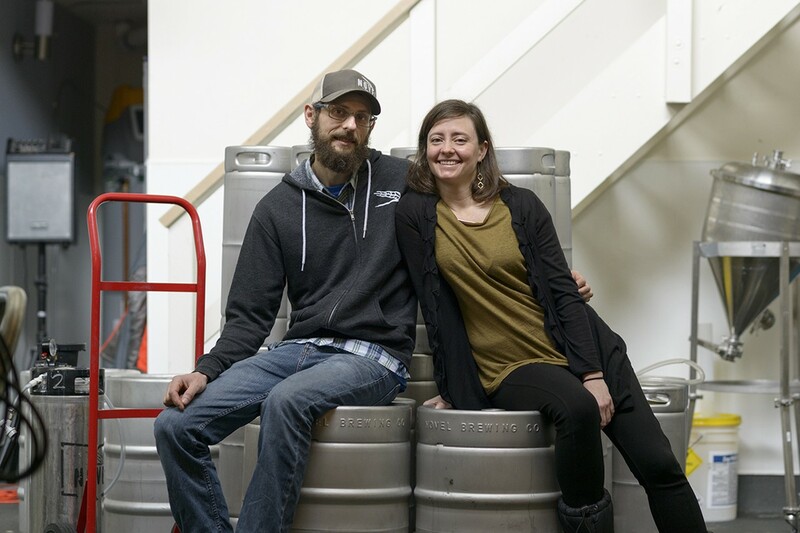 The Express chatted with the couple last weekend in advance of Beer Week. So, on your second date, you both bought a home brew kit? Teresa: I actually was not at all a beer drinker back then. I grew up in St. Louis, so I feel like I never really had flavorful, good beers growing up, so I stayed away from it. How is your brewery unique? Teresa: We went into this not with low expectations, but the expectation that we wanted to have a neighborhood brewery. We're not looking to be huge or anything. We wanted to have a community space. And I think that's definitely our biggest surprise, that happened right away, and we still have a lot of regulars that come in now, who live down the street, who're walking their dog or strolling their baby. Brian: It's just become the neighborhood hangout. This is where people come to play games, talk about their week, and drink beer. So, it's been fantastic that way. What have you learned about beer drinkers in the East Bay that may have surprised you? Brian: You can't categorize everyone into one category. I think that I've been surprised by how much people want a new beer. You release a beer one day, and they want a new beer the next day. And at first, it puts a lot of pressure you, as a brewer and a business owner. Like, "Oh, we need a new beer every day!" And then you realize that that's not realistic. ... And then you have the other side, the people who just like beer for what it is, and they're not following the latest trends. In your copious free time, when you want to relax with a beer and a book, what are you sipping and who do you read? Brian: Uh, pre-business? [Laughs] I was really into postmodern writers for a while, so David Foster Wallace, Pynchon, Tom Robbins, those are the types of authors. Teresa: I'm on the math side of things; I'm an engineer, that's what I do by day. Brian's definitely the book-reader. But I have picked up Murakami. ... Right now, I randomly pulled off 1984 ... because everybody's doing it, and I realized that I'd never read it. You get two weeks off and you get to go to any brewery on the planet: Where do you go and why? Teresa: I think that might have been the beer that, when I was doing a tasting club, that might have put me over. "I really love this beer." ... I think it turned me into a beer lover.